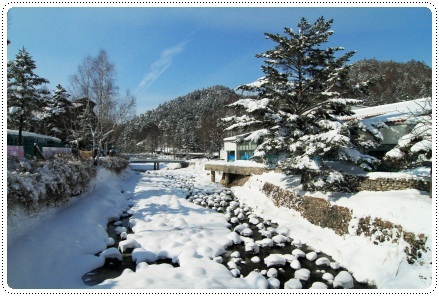 The climate in South Korea can be divided into four seasons; summer (June to August), fall/autumn (September to November), winter (December to February) and spring (March to May). My sister lived in Seoul for one year from June 2011 to June 2012, and she shares her experiences with the South Korean weather and climate. Her advice should give you clearer answers on when you should visit South Korea. The weather and climate in Seoul during the months of June to August is very, very warm and humid. On top of this, the air pollution makes you feel like the temperature is hotter. But compared to the climate in Southeast Asia, the summer climate in South Korea is not that bad. From November, the temperatures drop significantly and the weather turns cold. It's like the cold is piercing your skin. In Seoul, it's not snowing that much and I've only experienced a little snow during the winter months (based on the winter 2011-2012 climate which was warmer than usual). I can tell you this, the contrasts between summer and winter turns from extreme hot to extreme cold. Months of November to February are freezing, with January being the worst month. From February month and onwards, it's still cold but during daytime it feels warmer. Probably because of the transition to spring. I visited Busan several times in the month of August. Compared to Seoul, it's a little warmer in Busan because of its geographical location. During summer time in Busan, it was extremely hot but still comfortable because of the sea breeze. Busan has nice beaches and it's a good place to cool yourself while traveling in South Korea. 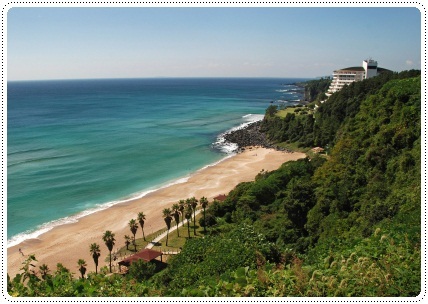 Jeju island has lots of beach and diving opportunities. Visibility is best in autumn time (September and October) when it can reach 25-30 meters. During these months, the water temperature is still warm. Compared to rest of South Korea, the winter temperatures in Jeju are not that bad. It's somewhat 'warmer' in Jeju in the winter. The humidity in South Korea is imminent during the summer months. During this time the climate is hot AND humid! So, when is the best time to visit South Korea? I would recommend traveling to Seoul in April, May, September and October because of the comfortable temperatures and dry climate. If you decide to travel to South Korea in May, don't miss the awesome "spring festivals". If you're a beach person, traveling during the summer is alright. Beach season is from May to September. Remember to drink lots of water though, because the combination of high temperatures and humidity speeds up the sweating process. Looking for a guesthouse or hotel in Seoul? What are the tourist visa requirements for South Korea?